We were graced with a visit from one of our favourite suppliers this week here at Office Reality HQ. 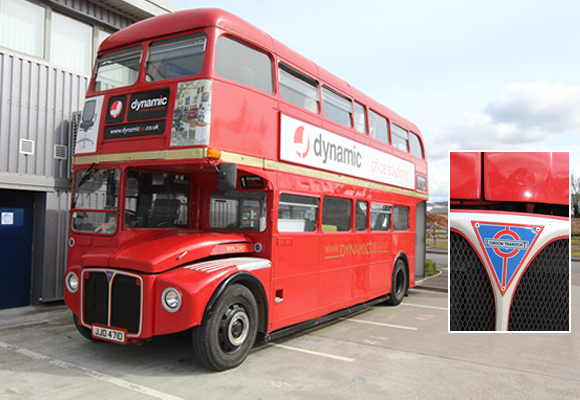 Bringing their mobile showroom down to Somerset, in the form of an old London red double-decker bus no less, it is safe to say it was certainly a talking point! 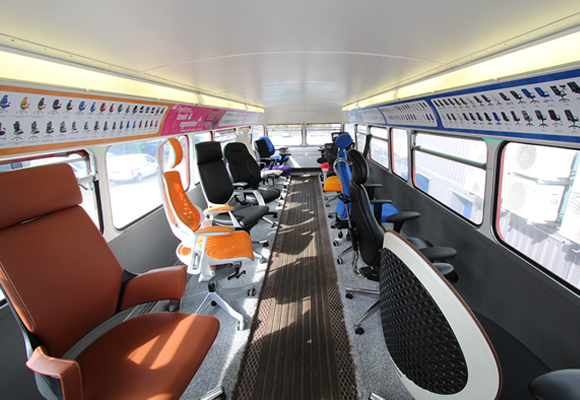 The bus is equipped (on both levels) with several ranges of seating and furniture. The seating ranges are very cleverly fastened to the floor to avoid them from sliding around whilst driving. I am still not sure how though?! What a fantastic idea however! 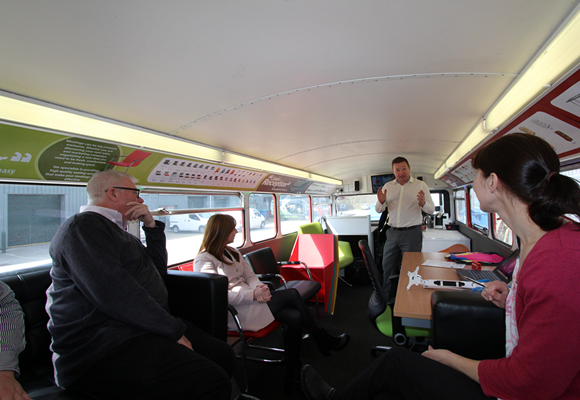 As the Office Reality team hopped onto the bus we happily tried out task chairs and breakout seating, all part of a variety of different range levels. Discussing the different ranges, admiring the higher spec chairs and testing out all the gadgets, the presentation was very informative. In addition to Chicane playing in the background (good choice of background music might I add) there was also plenty of “banter” between us all. It was a huge pleasure to meet members of the Dynamic team and see the great products “in the flesh” as well. We were in our element! After seeing the success of having such a great mobile showroom, my colleague is now discussing getting a VW campervan for Office Reality for the same purpose… Could be interesting, also unlikely (sorry Ben)! Big thanks to the team who came down to see us! A lot of fun, very insightful and all very much appreciated!